After searching online for schnauzer lego kit, I come across a local toy shop at jelita selling this. It costs $13.90 per pack and comes full with instructions. It says for ages 12 and up. My previous attempt at building Nanoblock was the simple Mario kit I bought from Groupon. I thought this one shouldn't be that tough but it turns out to be otherwise. 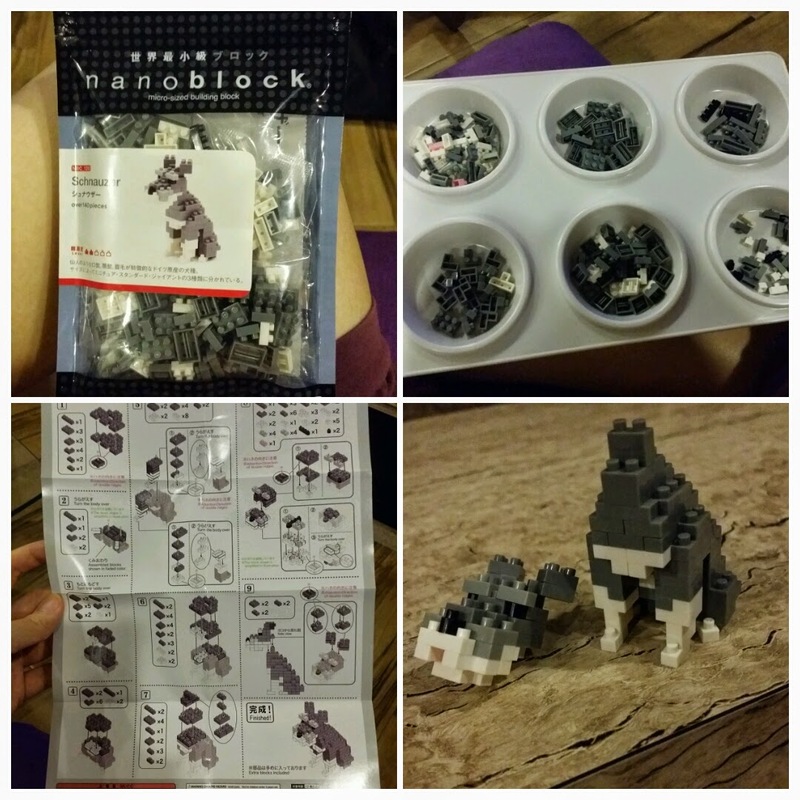 The size of the Nanoblock is 4 x 4 x 5 mm. With my small fingers I already found it hard to assemble. I think it would be even worst for a man with big hands. And you cannot exert too much pressure on it, else the whole structure will fall apart instantaneously. The simplest way I find is to compartmentalise the nano blocks into an art palette and then pick out those that you need. You need to be fairly organised and focused on the instructions and cross your fingers you didn't do the wrong thing. One step leads to the other. And there are also lighter grey blocks which should be picked out in the beginning, or else you wouldn't be pulling out your hair if you mix it up in the body of the dog. I spent around one hour to complete, and towards the end the body collapsed and one piece of block fell out and I couldn't figure where it goes back. But all's well end well. 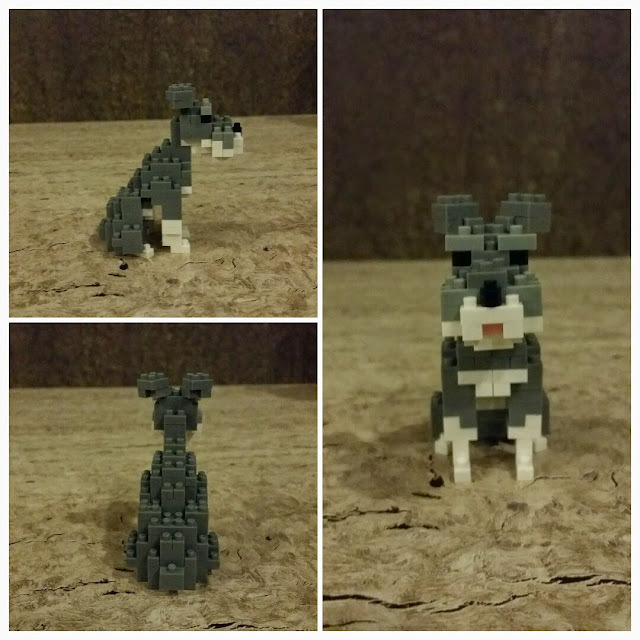 I got my completed schnauzer after another 30 mins. It should go into a glass cabinet untouched after this. Don't ever let your kid hold this; you will regret the falling apart pieces! Difficulty : 4/5. It's not impossible to do. You just need to exercise lots of care handling it.